Featured » A Rare Bird! While walking the seawall on Feb.10, 2016 in English Bay, nature enthusiast and photographer Peter Woods was able to capture a truly rare species in British Columbia: a black-headed gull (Chroicocephalus ridibundus). 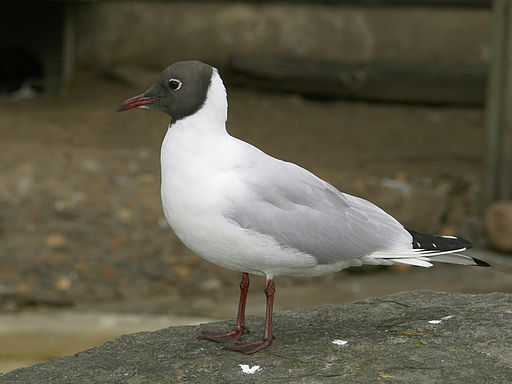 The black-headed gull can be found in great numbers throughout eastern portions of Canada, the US and parts of Northern Europe, Russia and Alaska. Their range even extends to parts of North Africa, India, Southeast Asian and Japan. What makes this sighting so remarkable is that black-headed gulls are seldom seen this far west and are considered a casually occurring species in British Columbia. There have been only 20 accepted sightings in the province. Seen photographed with the common mew gull, the two species look quite similar; however, upon closer inspection there are a few discernable differences. The black-headed gulls are slightly smaller measuring 41 cm in length with a wingspan of 102 cm, a few centimeters less than their west coast brethren. Black-headed gulls are aptly named, during breeding season they can be seen with a dark brown hood, in the winter time their plumage is fairly white with a dark ear spot behind their eyes. 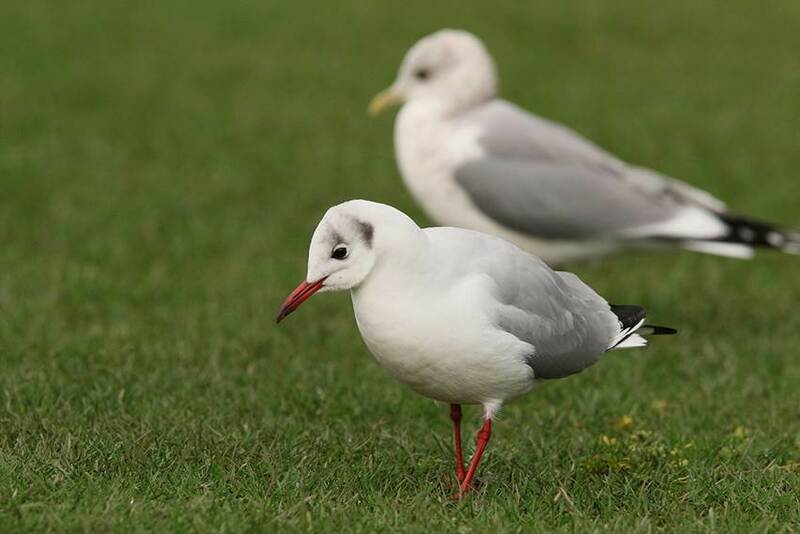 Adult birds have a dark red bill with a blackish tip and red legs, compared to the yellow bills and yellow legs of the more common mew gulls. It is unclear if black-headed gulls found in British Columbia originate from the east coast of North America or come from birds that migrated from Siberia into Alaska and then down the western coast. With climate change having an increasing effect on migration patterns globally, we may see more of these birds in the future. So next time you are exploring the shorelines around Stanley Park, keep an eye out for this rare species and be sure to have your camera ready.